Yolande is an executive change, project management & transformation professional with over 20 years’ experience in public and private sector, implementing IT, business transformation, and system integration projects across large and complex organisations. Yolande has established, mobilised and managed large change, performance support, communications and training teams to implement major system roll outs and strategic business initiatives through strong people leadership, senior executive collaboration and commitment, and change management execution. An exceptional communicator, Yolande has demonstrated success in delivering high-value projects up to $80 million, driving change within organisations to achieve strategic outcomes, develop innovative operating strategies, and to maximise shareholder value. 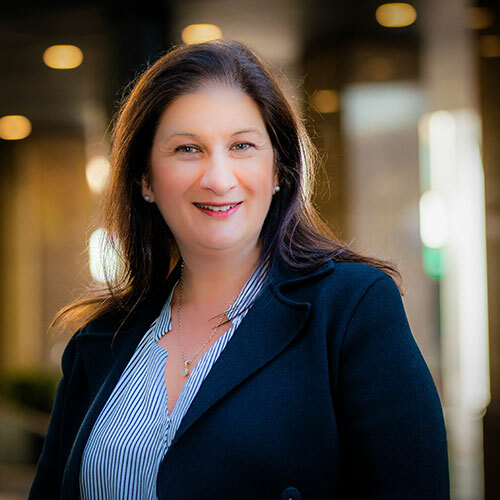 Yolande’s experience in organisational change, regulatory change, business change, finance transformation, and deep project management knowledge has seen her deliver successful outcomes for the Salvation Army, NAB, CBA, and Westpac. Yolande also has advanced knowledge of project management methodologies, organisational change methodologies and systems implementation. She is fully conversant with System Development Life Cycle methodology, ITIL methodology, Sarbanes Oxley compliance, and ISO9001 Australian and New Zealand standards.